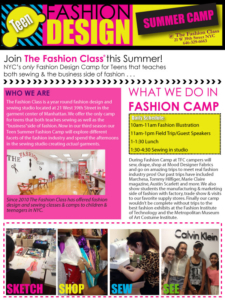 NYC’s only fashion design and sewing camp for teens that teaches both sewing and the business side of fashion. No sewing experience required. 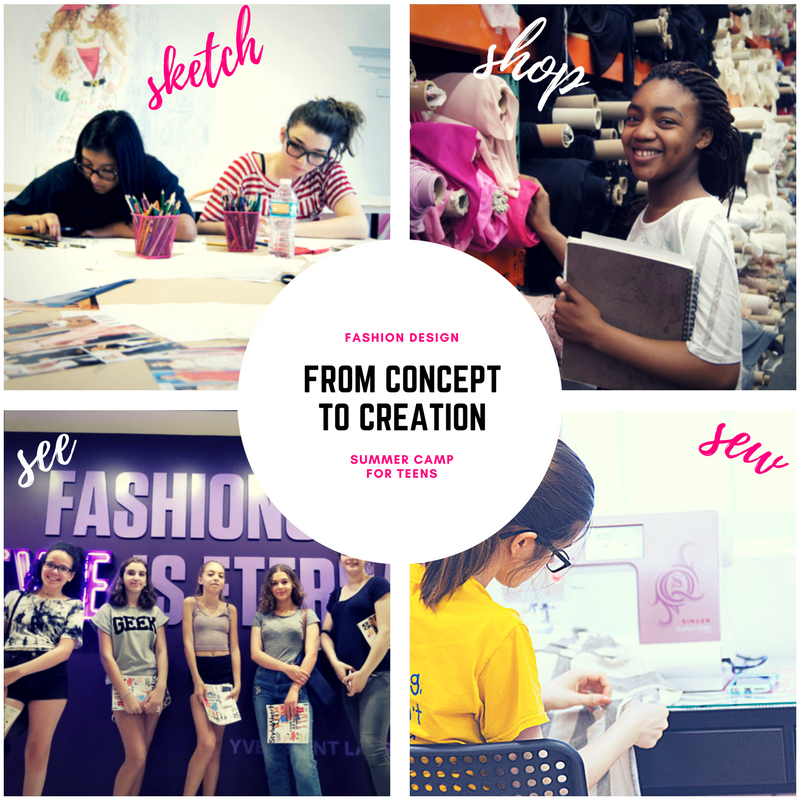 The Fashion Class is a year round program and facility that teaches teens sewing, draping, marketing and merchandising all throughout the school year and summer. We have our own loft style studio featuring a sewing room, art room, two bathrooms and lunch area. Our camp instructors are graduates of fashion and art programs at some of the best fashion schools in the world, like Parsons. Check out photos of our 2500 Square Foot facility located in the Garment Center of Manhattan! Our fashion camp is for serious fashionistas who want to make their designs and dreams a reality! Our camps are small (up to 12 students) and space is very limited.